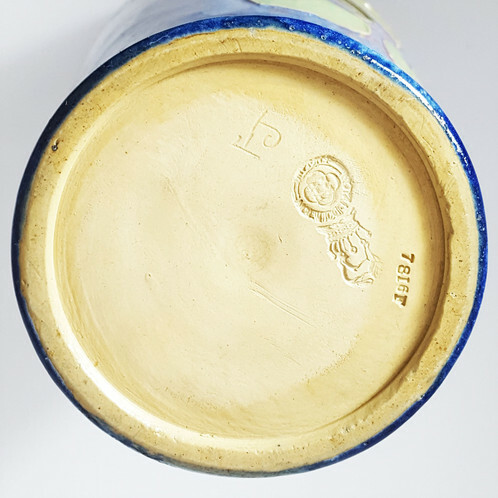 I have this bowl and can't read the factory marks on the bottom of the base. I am not an expect and I hoping that someone with more knowledge than myself would be able to help. I have read that the artist is Florrie Jones but don't know what year it was made. I would imagine the factory marks will tell me that although I don't know what the D means and what the numbers mean either. No worries, it’ll get tidied up. I’ve moved it to ID My Pottery so members will find it. The other pottery groups are all for Identified and completed threads. 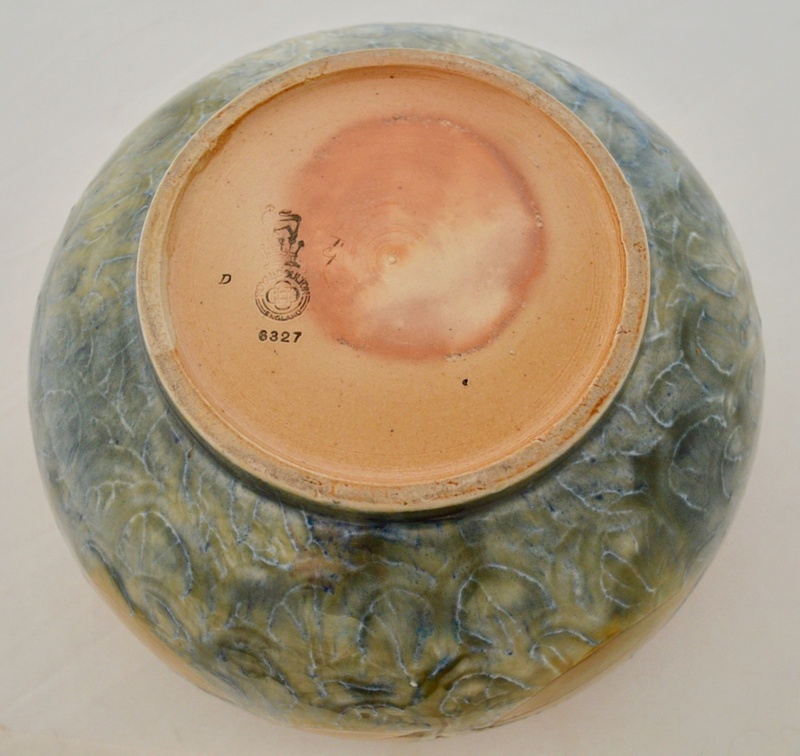 The F J incised mark is for the artist Florrie Jones and dates from 1900 - 1910. 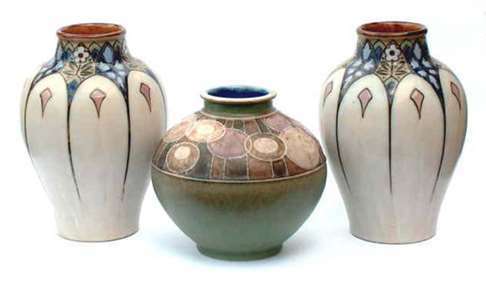 She was a Royal Doulton art pottery decorator artist. The other stamp marks are the date, pattern & design marks. Florrie Jones was a Senior Assistant at Lambeth for many years. Little is known about her personal life or even how long she worked at Doultons. We know that she was at Doultons before it became Royal Doulton in 1902, and that she was still there in 1928. Thank you moving the topic to the correct forum, apologies for misplacing it. Also thank you for dating the bowl. I am curious to know how you are able to confirm that from the D? is there some sort of date list somewhere? 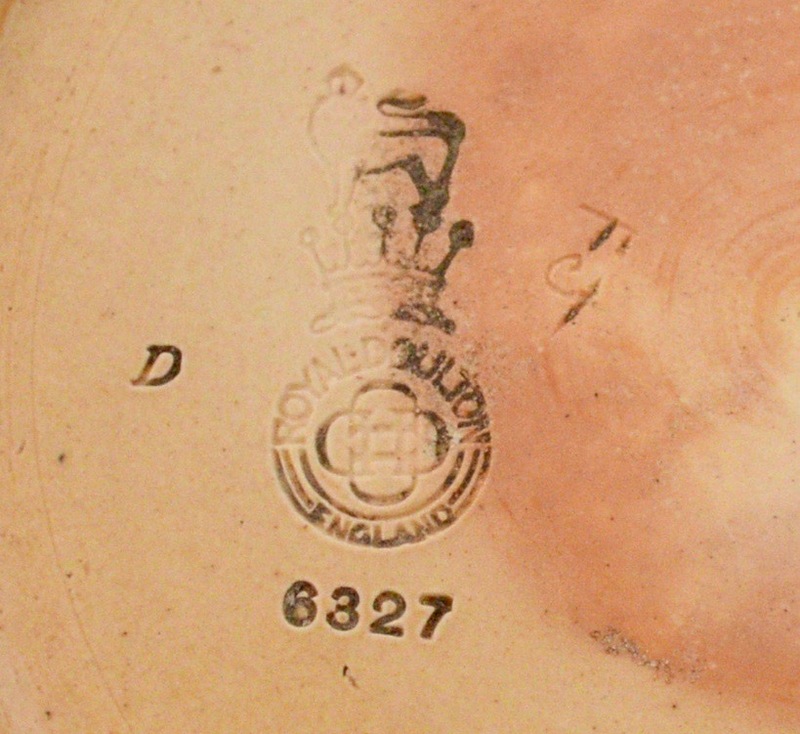 The mark on your pot dates from 1902 to 1922. link page above and should take you to the Doulton marks & dates page, lots of info here. I think your D letter is for 1902. Thank you for your reply I really appreciate it. Yes I've seen the website and been through it, although unless I'm missing something it doesn't confirm a closer date than 1902 - 1922. The only reference I can see to the letter D, is before a series of numbers on different wares. As you can see this D isn't pre a number it is on its own. What makes you think the D letter is for 1902? ?